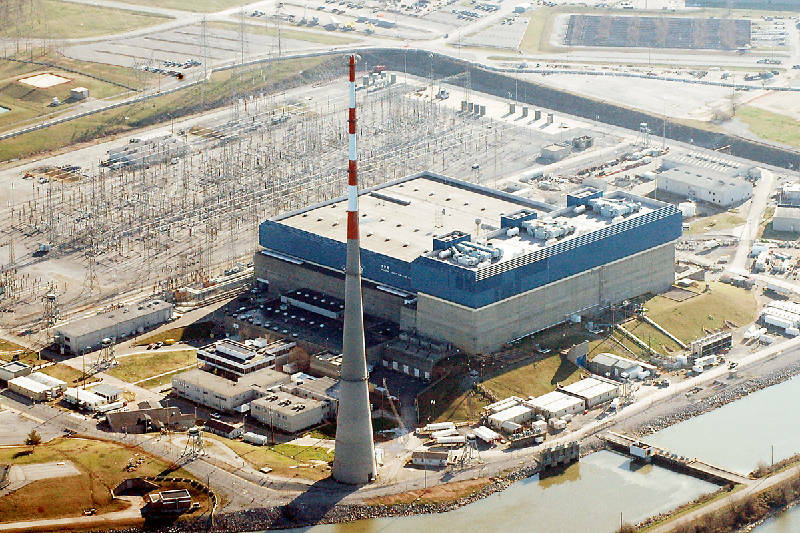 Tennessee Valley Authority's Browns Ferry Nuclear Plant is near Athens, Ala.
Federal regulators will meet Tuesday with the Tennessee Valley Authority to discuss planned inspections prompted by a "red" -- or "high safety significance" -- rating at the Browns Ferry Nuclear Plant in North Alabama. The Nuclear Regulatory Commission says the meeting, scheduled at 10 a.m. in Atlanta, is open to the public. NRC officials have said the plant needs supplemental inspections because of a problem that was discovered with an inoperable valve on a cooling system last fall. In early May, the NRC concluded that the failure of a cooling-water injection valve -- along with the revelation that the valve may have been inoperable for more than 18 months -- was a rare red-level finding of "high safety significance" at Browns Ferry, located on the Tennessee River near Athens, Tenn.
NRC has issued the red rating only four times in the past decade. Last week, on the eve of a TVA board meeting in which directors approved completion of the Bellefonte nuclear plant in Hollywood, Ala., NRC announced that TVA had opportunities to find and fix the Browns Ferry problem well before the valve failed. "The increased oversight will include reviews of a number of issues at Browns Ferry, including its safety culture," said NRC spokesman Roger Hannah in a prepared statement announcing the Tuesday meeting. TVA has insisted the Browns Ferry Nuclear Plant is safe. TVA spokesman Ray Golden has said the problem was performance, not safety systems, but he added that TVA is "committed to addressing all of our shortcomings." The three-reactor Browns Ferry plant is 34 years old and generates enough electricity to supply about 650,000 homes.